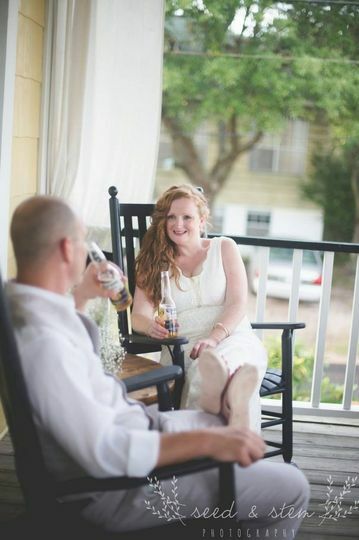 Beachview Bed and Breakfast, located in Tybee Island, Georgia, is available as a venue for wedding ceremonies, receptions, bridal showers, elopements, engagement parties, and rehearsal dinners. 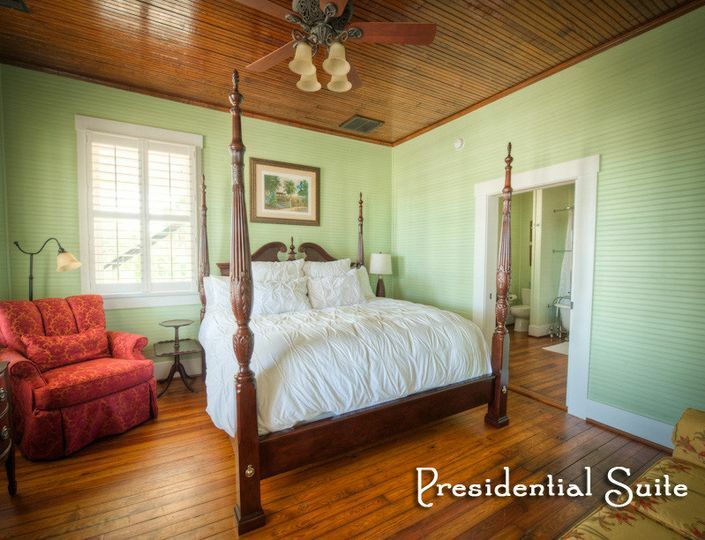 Built in 1910, the property has been beautifully restored, even keeping the original 100-year-old heart-pine floors. 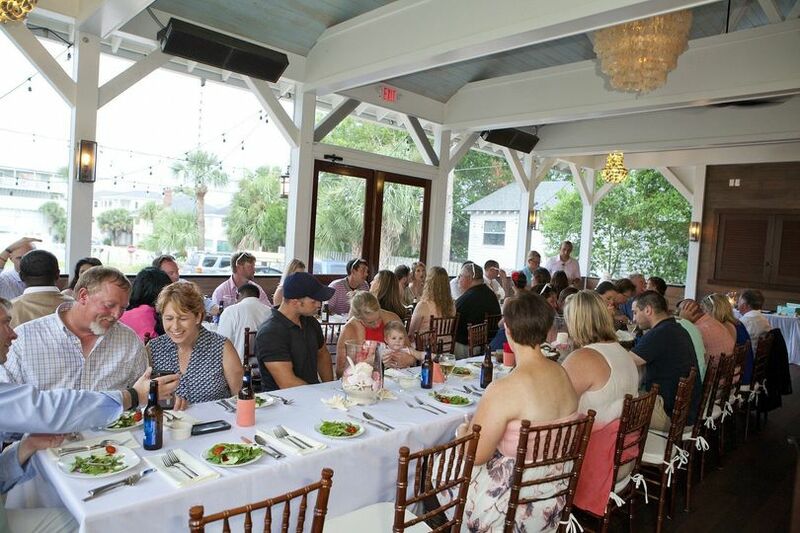 This pet-friendly venue is in the heart of Tybee beach life, surrounded by nature and minutes away from shopping and dining. 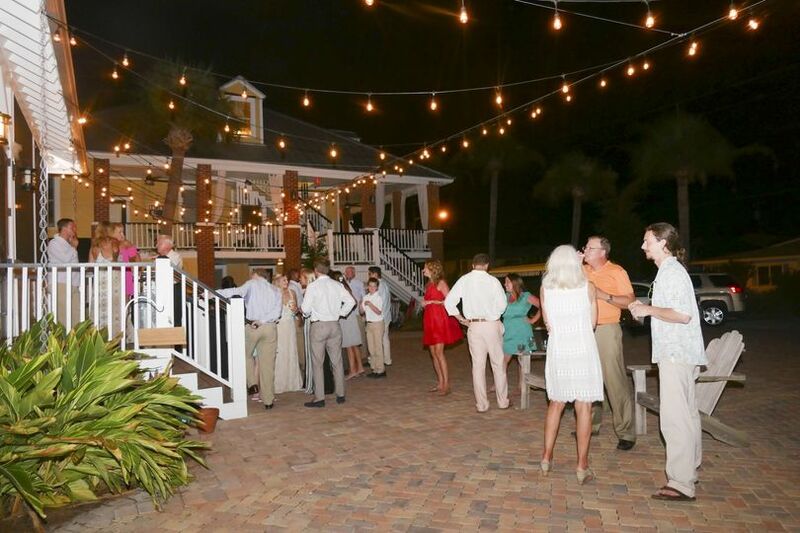 At Beachview Bed and Breakfast, there are a few different options regarding ceremony and reception space. 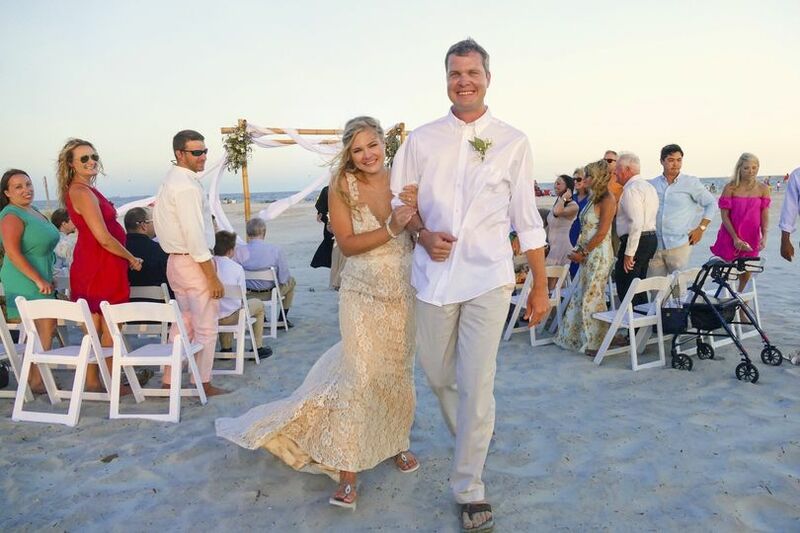 Many couples take advantage of the venue’s namesake, using the beaches of Tybee to host a coastal ceremony. 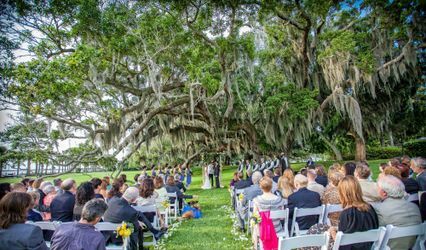 Weddings have also taken place under Tybee’s massive oak trees, or on the spacious grounds of Beachview Bed and Breakfast. 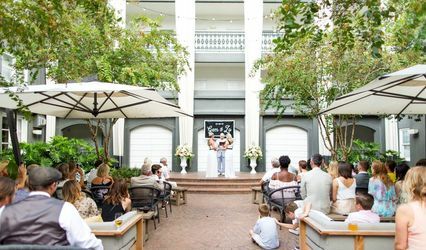 Receptions can also take place on the veranda, in the gardens and lower porch, or at the Tybee Island Wedding Pavillion. 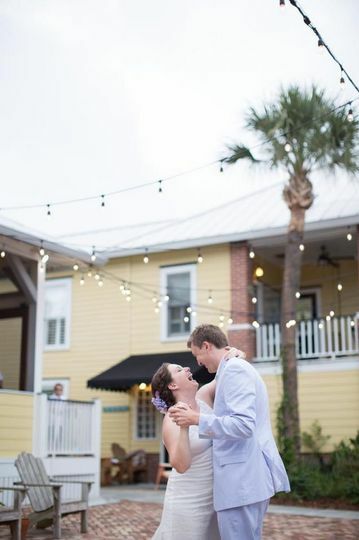 Wedding guests and those staying overnight at the Beachview Bed and Breakfast are welcome to use the on-site parking and wheelchair access, or use transportation provided by a shuttle. 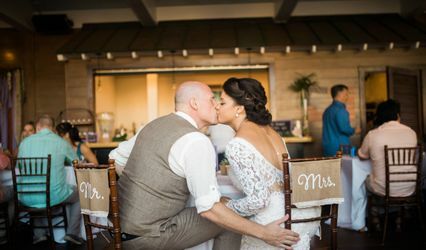 For couples who are looking for a venue to host their nuptials without accommodation rental, the Tybee Island Wedding Pavillion can be reserved, complete with tables and chairs. Beachview Bed and Breakfast's on-site kitchen is constantly cooking delicious meals and treats for guests. For weddings, they can provide buffets or plated meals, with servers. Their hors d’oeuvres are perfect for a cocktail reception while the wedding party finishes their photographs. While couples can choose to order a cake from another vendor, the bed and breakfast can also provide a delicious cake or other desserts. Bartenders are included with an open bar, from which guests can order house and specialty beer, wine, and liquor. Per the desired set up, guests are welcome to stay in one of the lovely Beachview Bed and Breakfast rooms. All the accommodations come with air-conditioned rooms, wireless internet, flat screen TVs, and Egyptian cotton percale sheets. As a commercial bed and breakfast, guests can also purchase beer, a glass of wine, or a whole bottle to take back to their reserved room. Book a Wedding package with us during December and January and receive a free champagne & Strawberries during your 2016 stay. 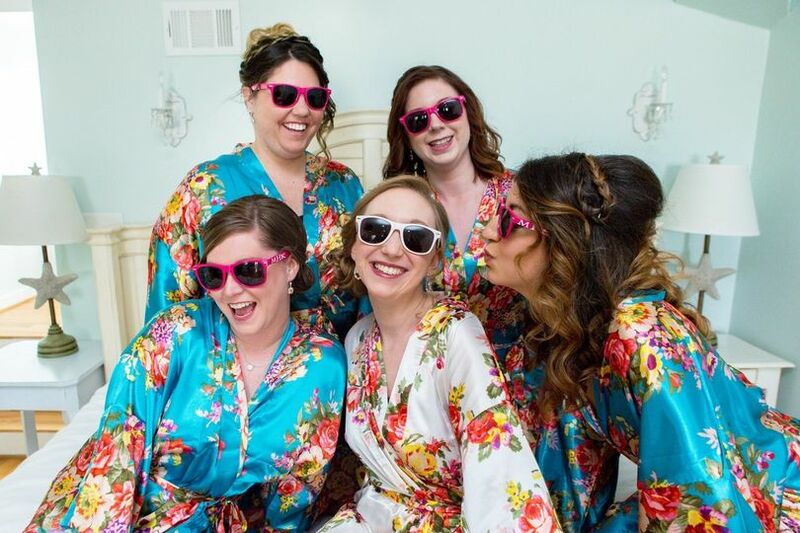 When you want to experience a wedding weekend with your family and friends look no further than Beachview B&B. 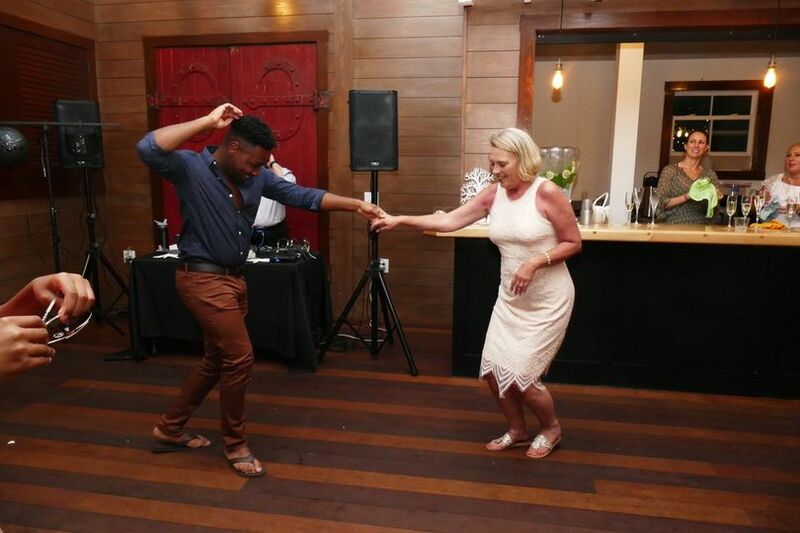 Karen and her staff will take care of your wedding needs, and provide you with eight spacious rooms for you and your guests to relax in. 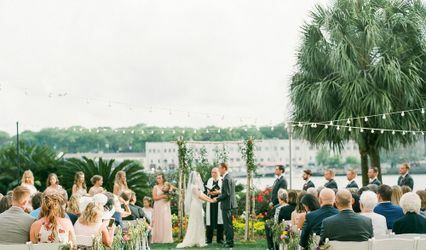 Located only one block from the beach and the back river, if you want to have your ceremony on the beach and reception in the wedding pavilion, it can easily be accommodated. 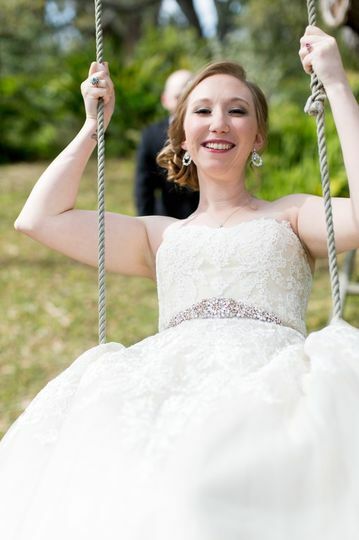 Enjoy the wedding of your dreams without the stress of traveling between venues. 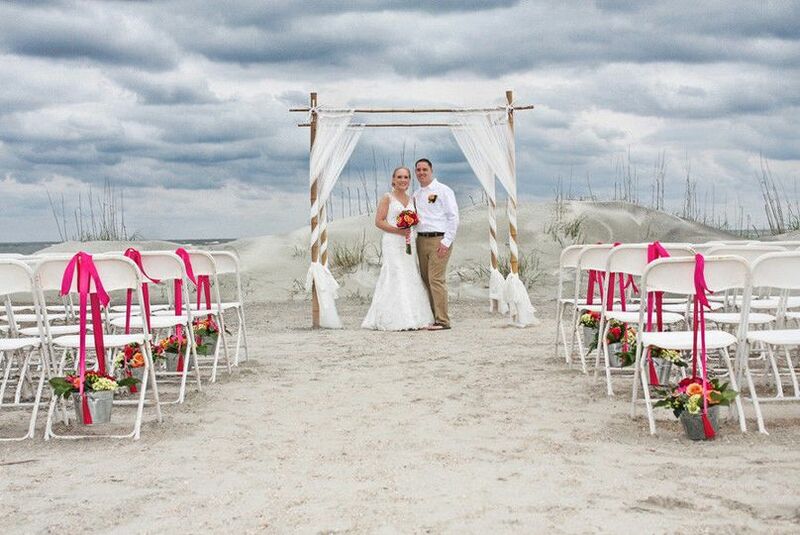 Karen can also plan your day complete with photography, officiant, chairs and bamboo arch on the beach.